Taglines: The Prince isn't charming. The Princess isn't sleeping. The sidekick isn't helping. The ogre is the hero. Fairy tales will never be the same again. Loosely based on William Steig's fairytale picture book of the same name. Continuity: When Lord Farquaad is questioning the Gingerbread man, he throws his leg onto the tray that it is lying on but when the camera shows the Gingerbread man, the leg is nowhere to be seen. Shrek: [narrating] Once upon a time, there was a lovely princess. But she had an enchantment upon her of a fearful sort, which could only be broken by love's first kiss. She was locked away in a castle guarded by a terrible fire-breathing dragon. Many brave knights had attempted to free her from this dreadful prison, but none prevailed. She waited in the dragon's keep, in the highest room of the tallest tower, for her true love, and true love's first kiss. Shrek is completely new. 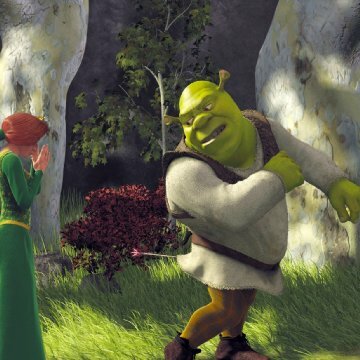 Never has a fully CGI movie taken on the twists, turns, and surprises as Shrek has. It's a full parody of numerous fairytales, and its humor is, well, humor at its best. 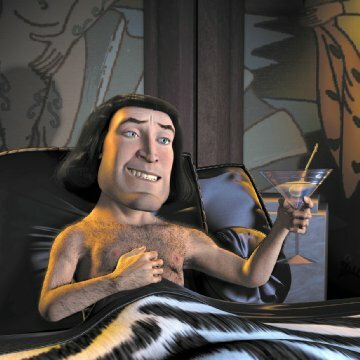 Grown men will laugh at the jokes of Farquaad's Stature and the hidden meaning behind every little comment. Of course Shrek, like all other movies, has its emotional moments (so what if I lied about it being completely new?). And these moments aren't cheesy or anything. 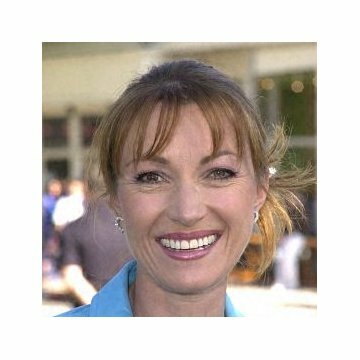 They are kind of funny, but at the time of viewing you won't really feel like laughing. You'll feel like the characters. Like its CGI, Shrek has taken a new dimension. It stretches out. You're in the movie. No, wait, you're watching a movie. It's so hard to tell. 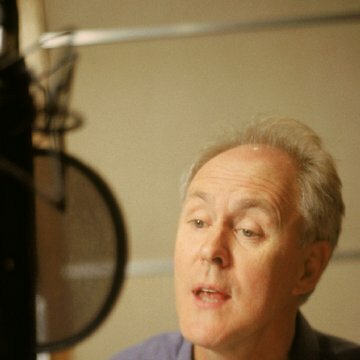 The characters are so real, so lifelike, it makes you feel you're there. The environments are realistic, yet still animated. The wind whispers through the grasslands and the characters' hair; the lightning and clouds are really there... aren't they? I was stunned and absorbed in this movie. And unlike other movies, it has more than just CGI. It's actually got a plot. And what a plot it's got! This one is totally new. 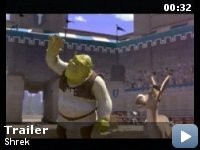 Shrek is ordered to rescue a princess from the fiery keep guarded by a dragon in order to clear out his swamp of the menacing fairytale creatures. But it doesn't stop there. The movie is full of surprises and stretches on further into what actually happens after. The dialogue demands your attention throughout the movie, and then the dragon comes in. Whenever you see the dragon, you'll know good things are bound to happen (but not necessarily for the characters in the movie). The dragon is a comic relief, but still provides most of the action in the movie. She chases Donkey and Shrek through the keep, she flies to help rescue Fiona from a despicable marriage, and she even has the satisfaction of swallowing a midget. Now some disputes have arisen about certain things. But I must say what I always say: this is only a movie, and it has no deeper meaning (despite the parodies). Take it as it is. There can be nothing offensive from Shrek unless you have something against overthrowing tyrants and good-natured humor. 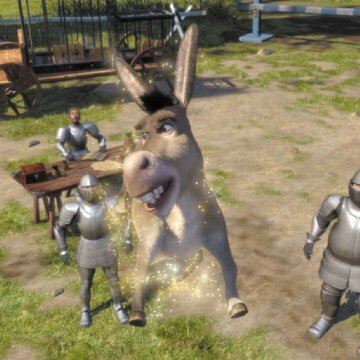 I must take a moment to speak about Donkey. He is, and always will be, one of my most favorite characters in the world of movies. Eddie Murphy was, no doubt, the perfect actor for him. He is so funny, so unique, and so... fluffy. What a perfect donkey! His design is flawless and his dialogue perfect. I can find nothing bad about this character. Shrek is perfect for everybody to see. The little ones will love the vivid colors and lush landscapes. The adults will enjoy this as well as the intelligent humor and deep plot. And no one could dislike the arrangement of songs. They fit really nice into the movie. Harry Gregson-Williams and John Powell's composed music is impressive (especially the theme for Escape from the Dragon). 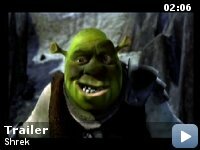 Shrek is brilliant moviemaking. 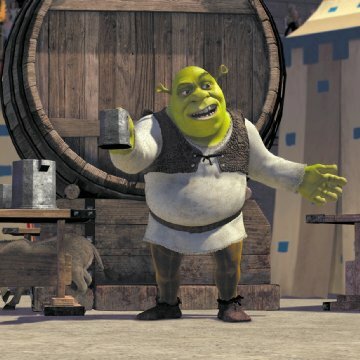 With a groundbreaking DVD, an all-star cast, great music, excellent graphics, and a great parodized yet original plot and storyline, Shrek is no doubt one of the best movies I've ever seen.